Our organization could not exist without the help from volunteers. As a private, nonprofit organization, we rely on the assistance of caring and hard-working volunteers to keep our rescue efforts going. Our mission is to rescue, rehabilitate, and rehome adoptable and treatable dogs from high kill shelters throughout southern California. We do not have a shelter or facility at this time – all of our rescue dogs are in private homes. Despite not having a facility, there are many ways in which you can help. If you are interested in volunteering, please complete a Volunteer Application. If you have experience volunteering for another dog rescue organization or would like to take on a volunteer leadership position, we have these volunteer positions available. 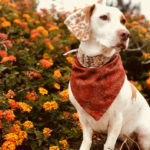 Work from home to screen dog adoption applications, coordinate and conduct play dates with potential adopters, coordinate and conduct home checks with potential adopters, return phone calls and e-mails from the public about animals that The Rescued Dog has available for adoption. This position requires excellent time management, communication, and response time. Help The Rescued Dog at offsite dog adoption events by answering questions from the public and assist with introductions between potential adopters and our dogs. Assist with onsite dog care by making sure our dogs are comfortable at adoption events. Enter data or help perform other office tasks to keep our adoption processes running efficiently. Our organization is completely dependent on donations. This committee assists in finding individual and business sponsors, researching and writing grants, creating unique fundraisers, and overseeing donor recognition. Help get animals adopted by marketing them! Help photograph the dogs for the website, capture the dogs’ personalities in short video clips, gather information about the dogs to write bios, and post ads to websites like Petfinder and other social media (Facebook, Twitter, Instagram). Provide temporary housing for dogs until they are adopted. Those interested in fostering are required to fill out a Foster Application – which allows us to better match dogs with foster parents. See our Foster Page for more information about our foster program. Provide much-needed grooming for dogs recently rescued from high kill shelters. Experience preferred, but not necessary. We like to make sure our dogs are being placed in safe environments. Home Checkers inspect the homes of potential adopters for secure yards, etc. 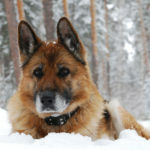 and provide tips on how to integrate the Rescued Dog into a new home setting. Take and post digital photos of adoptable dogs for marketing materials and social media. Experience and DSLR cameras are preferred. Help educate the public about The Rescued Dog and our mission via media relations, social media, and marketing campaigns. Create a variety of promotional materials including brochures, ads, posters and flyers. 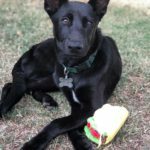 Transport dogs from high kill shelters in southern California (Los Angeles, Riverside, San Bernardino, etc.) to our foster homes in San Diego. Other transport opportunities include to and from vet appointments and dog adoption events.